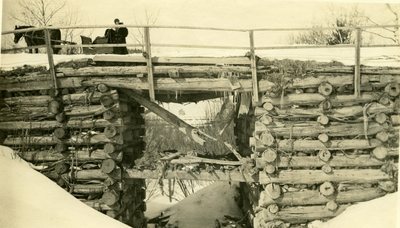 "Madawaska, Maine, Beaulieu Brook Bridge "
This is a scanned image of a black and white photograph of a wooden bridge in Madawaska, Maine. Writing on the back appears to read, "Bealieu Brook, Madawaska." There is no date included with the photograph.